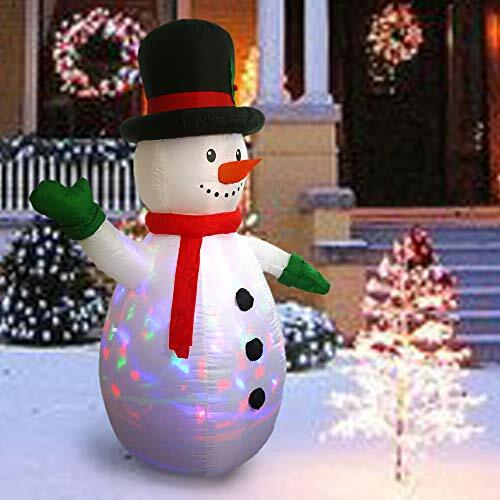 - SIZE – 6ft (Height) x 2.5ft (Depth) x 4.3ft (Width) inflated dimensions. - LED LIGHTED - Using built-in energy efficient LED Light(s). Lights up in the evening for the best attraction to neighbors and guests. - EASY SET UP - Just plug in power and everything pops up in a minute. Comes with UL certified adapter, ground stakes, fastened ropes, and built in sandbags for a firm stand.